I was scheduled to begin a sitting meditation retreat tonight; I went instead to Ivana Muller’s performance, While We Were Holding It Together, co-presented by DTW and FIAF as part of the Crossing the Line Festival. Instead of practicing letting go within a monastery, I sat in a theater and watched five performers hold it together. The five performers sustain the same positions for Muller’s entire 67 minute piece. Their eyes move. They quiver out of muscle fatigue. But it is primarily the movement of their voices and minds that we follow. Each time the performers make a statement, I see their shapes, their stillness, as something different. My perception of the very same picture shifts enormously. What was a hand becomes a branch or a bus pole or a microphone stand. Muller looks at the existential questions I grappled with in an apricot tree hideaway as a kid, those same questions that bring me to Zen practice and art practice as an adult. She looks at nothing less than the nature of experience. And that is why I go to theater. And that is why I will go to my meditation retreat tomorrow. 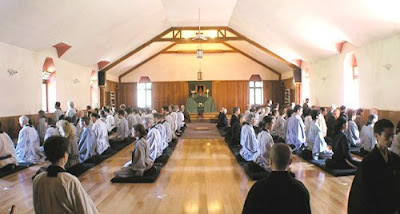 At the monastery, I’ll sit still, among other people, and watch the movement of my thoughts and emotions and fantasies. I’ll be asked to question what my body is, what death is, who there is to die. At least that’s what I imagine I’ll do. When we dance no matter what rhymt we prefer, the activity always reflect our welfare . When we dance frequently we can notice a change not only in our mood too but believe it or not in the sexual performance. When some cases when the erectil dysfunction present like a problem, to buy viagra is a great alternative. See their shapes, their stillness, as something different. My perception of the very same picture shifts enormously valet parking gatwick . I hope it was all great. meet and greet parking gatwick south bring useful option to all the travelers. Interesting and somehow different blog!. Thanks for sharing it. Each country has different tradition so has different dance placed on traditional rhythm, tourists mostly enjoy such things because they are very fond of traveling and cheap airport parking gatwick help them out to avail parking services timely. On Ivan Muller’s “While We Were Holding It Together” at the FIAF: Crossing the Line Festival this topic look like a yoga classes. By the way this is really helpful for the person and treats like an meditation. Now days i am also working on the certified papers like 70-410 this paper provide information about the windows and server and thanks for sharing nice images. dance is a best practice to reduce your weight. i gain so much weight in the days i was running my software house and i was providing Web Development Services Islamabad but then i started dance classes and reduce my weight. This is a very nice blog. I have visited it many times and i also bookmarked it. 6 weeks 6 days ultrasound Well, this is a best practice to remove the anxiety. Well, i am looking for some 6 weeks 6 days ultrasound images. for something amazing you were looking for. once we dance more often than not we can realize a transformation in our mood. is passionate about the role of movement in every aspect of our lives. She is fascinated with the movement of bodies, of thoughts, of experience. And she believes that all movement can be looked at as dance. A choreographer and Laban Movement Analyst, she lives in New York City and in the Catskill Mountains where she and her husband founded and direct Mount Tremper Arts. She currently teaches at Princeton University and Lehman College. See full biography here.